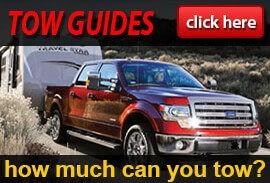 Enjoy each and every day that you are out on the road in an FR3 Crossover Class A gas motorhome from Forest River. 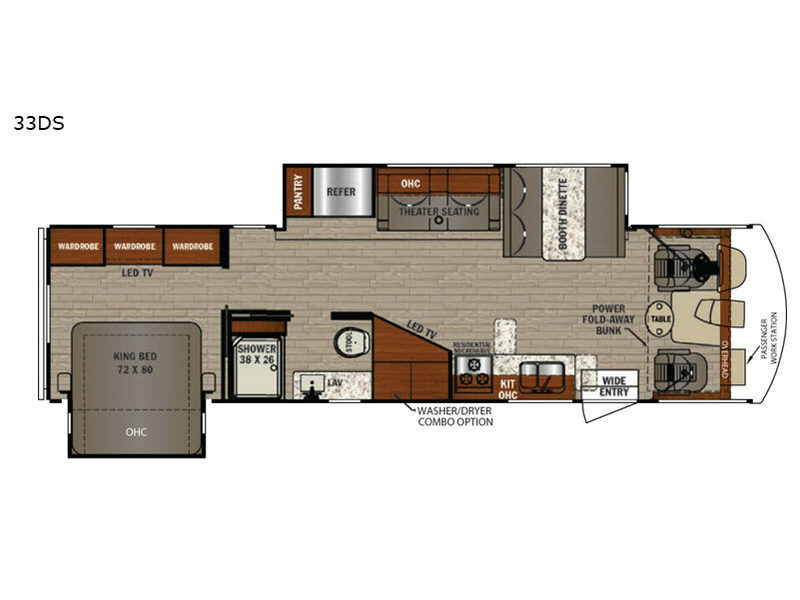 You will enjoy the space, convenience, and style of the FR3, and you will be wowed by the updated and modern amenities that this line of motorhomes provides. The Ford Chassis and V10 gas engine with 320HP will definitely get your attention while cruising down the open road, and because each model in this line up comes with varying features that include a vast majority of preferences, you will certainly find a model that fits your family's needs. The ultra leather furniture and Shaw residential vinyl flooring give the interior decor a sleek base, and the LED interior lighting keeps these units fresh and bright even on the darkest days. 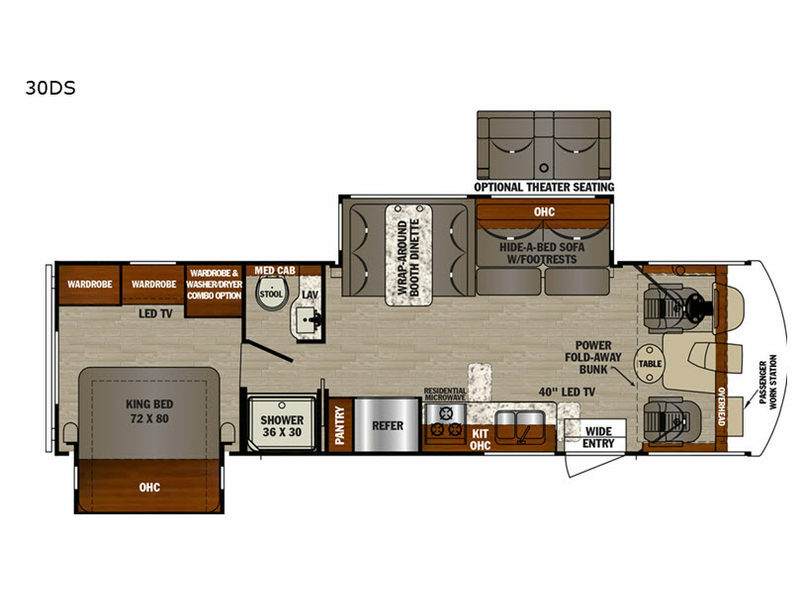 Because each of these motorhomes comes with a king-size bed in the private bedroom, you can count on comfort and relaxation to be a part of every adventure you take. Once you've loaded up all of your gear, the only thing you need to think about is the choice of scenery you'd like to enjoy when you open up your blinds tomorrow! 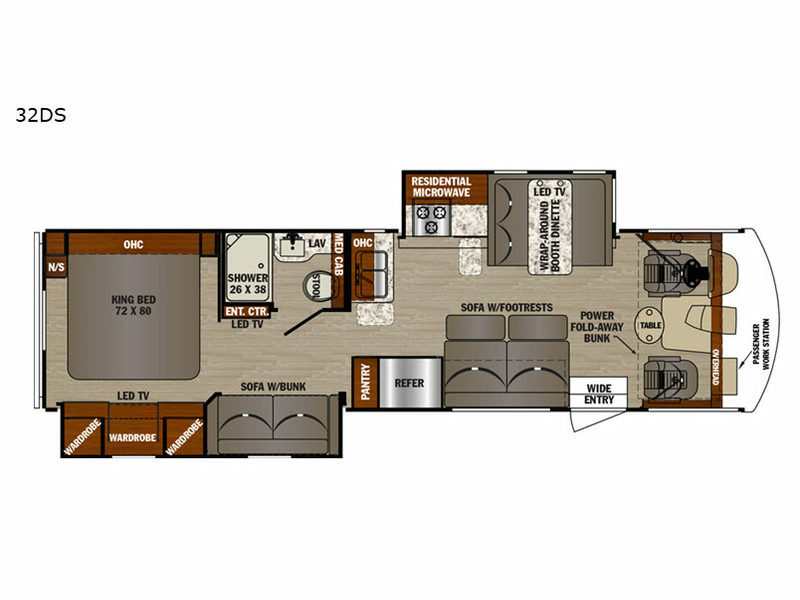 It's time to let the vacation begin from the moment you hit the road in these Forest River FR3 Crossover Class A gas motorhomes! Shower Size 26" x 38"
Basement Storage 116 cu. ft.
Shower Size 38" x 26"
Basement Storage 155 cu. ft. Basement Storage 112 cu. ft.